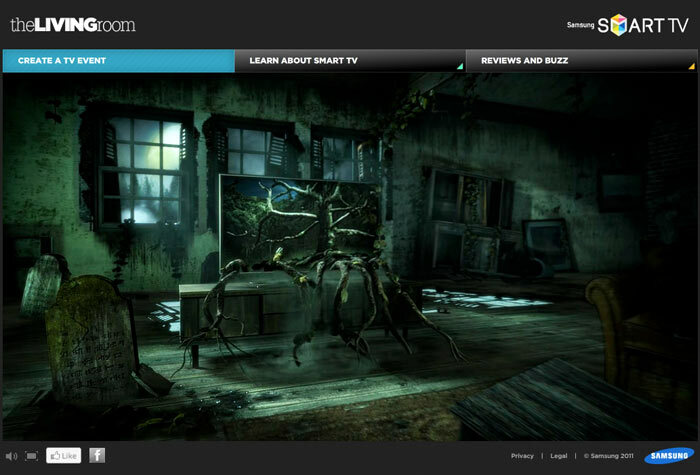 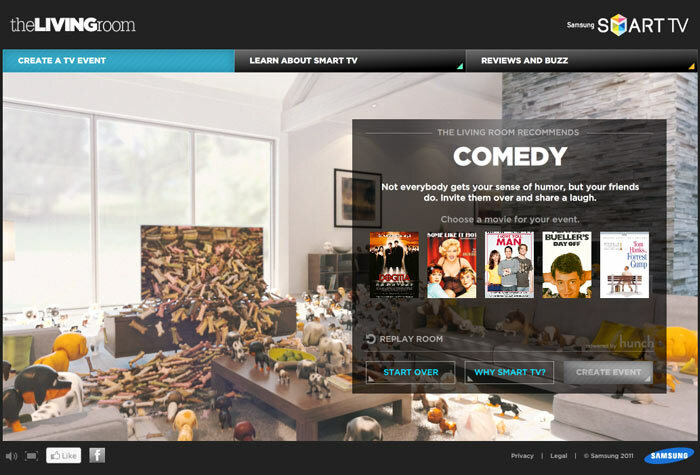 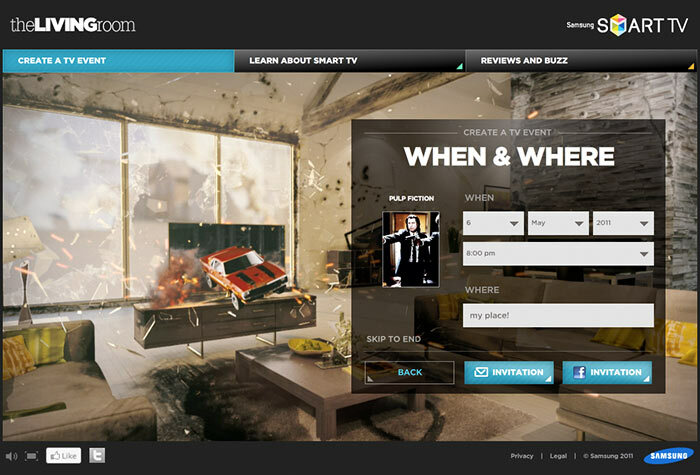 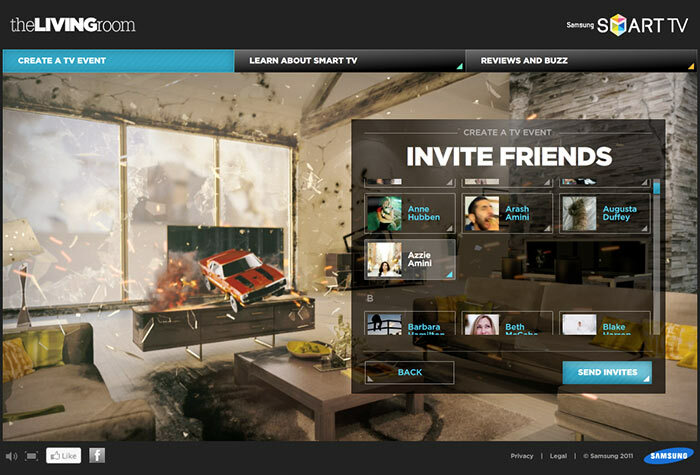 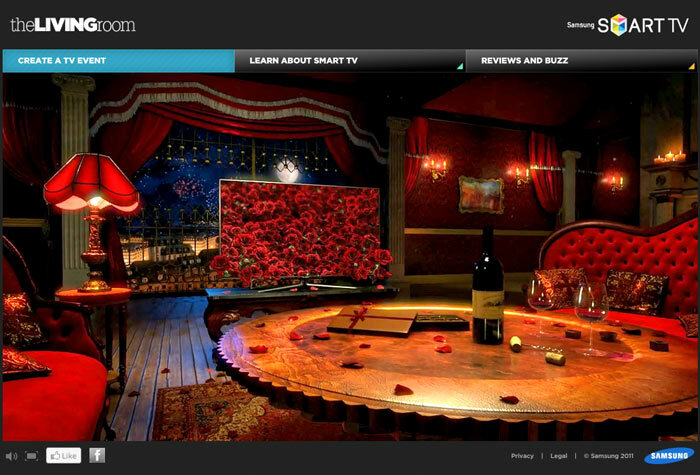 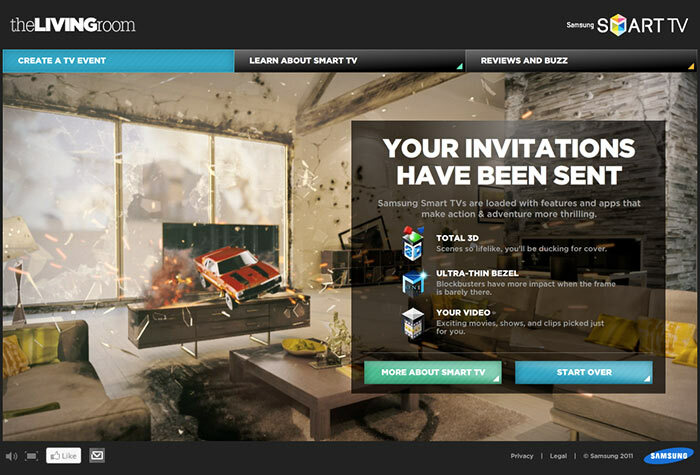 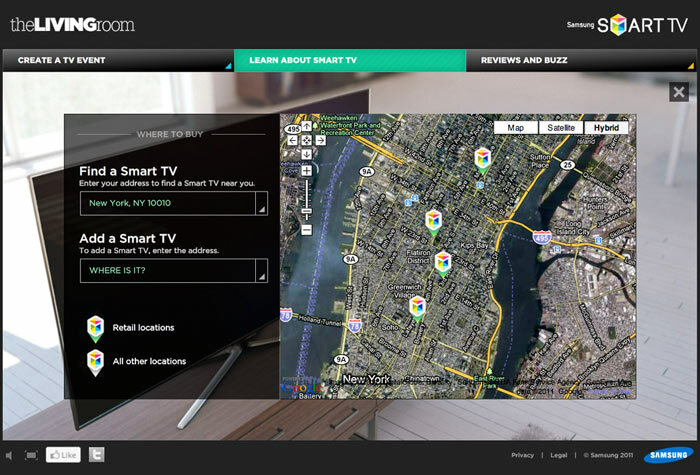 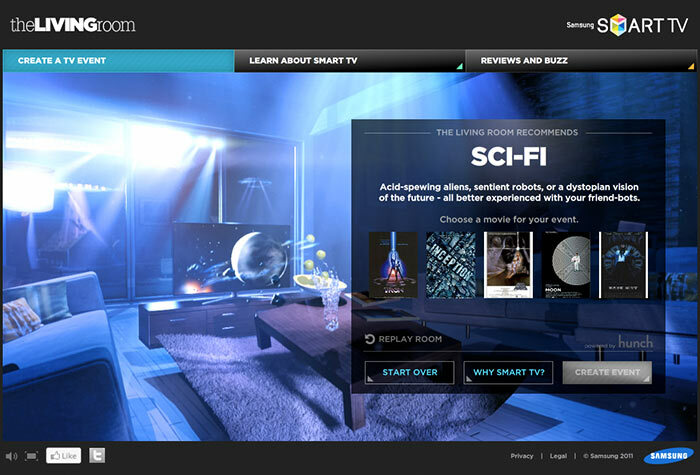 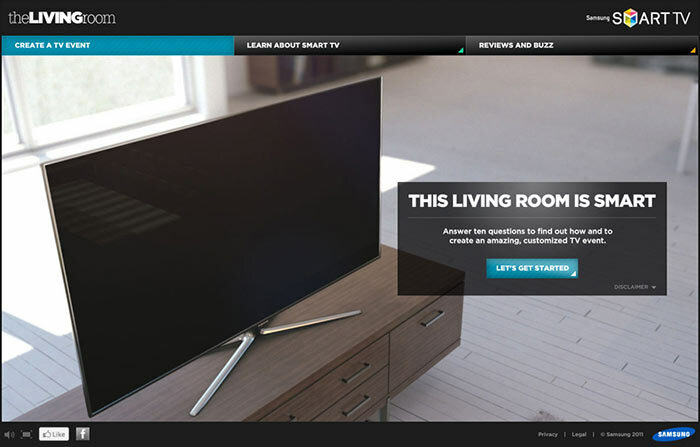 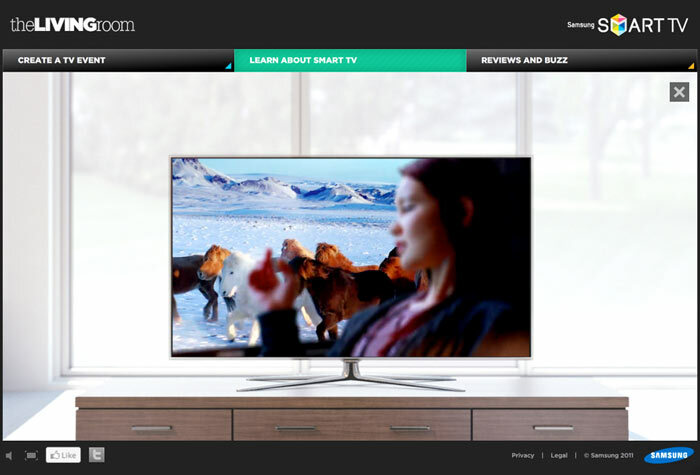 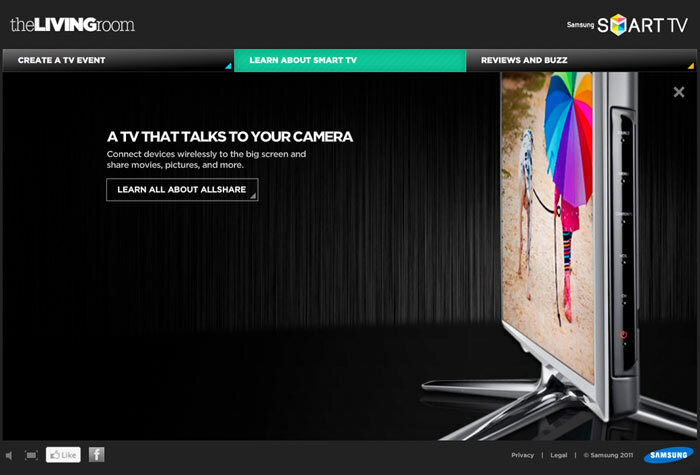 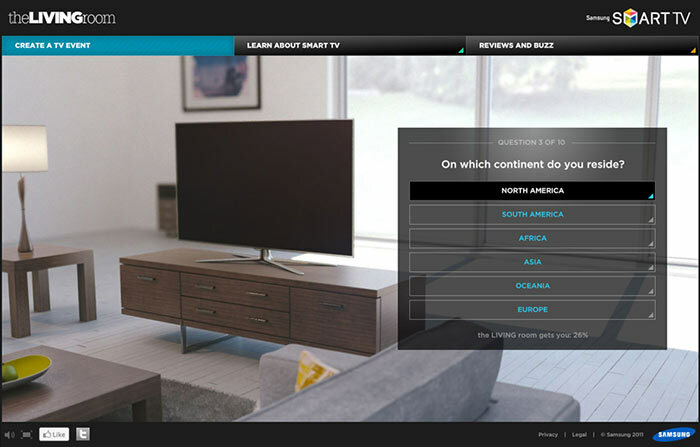 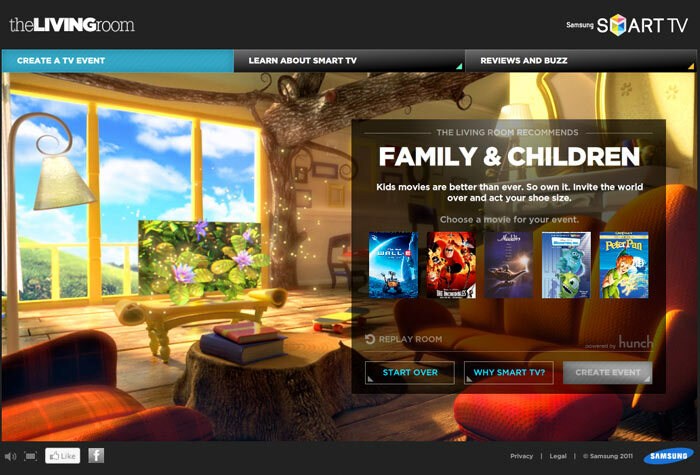 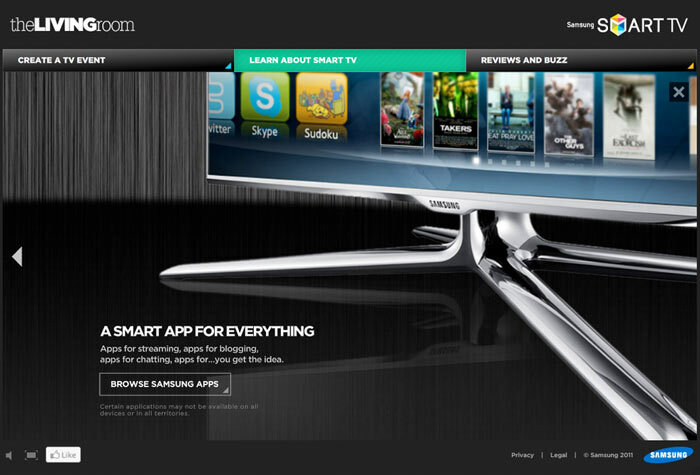 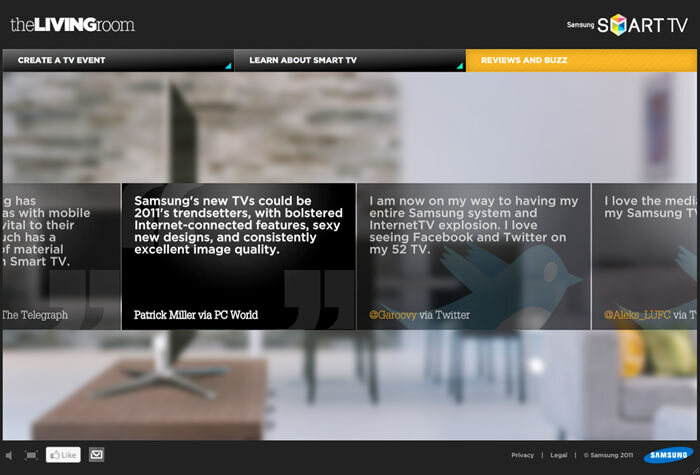 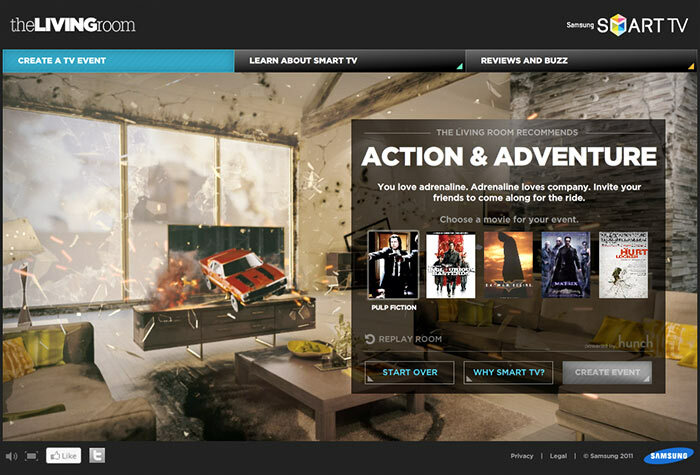 For the 2011 launch of Samsung Smart TV's we wanted to create a site that not only showed the functionality of the TV, but created an immersive experience. 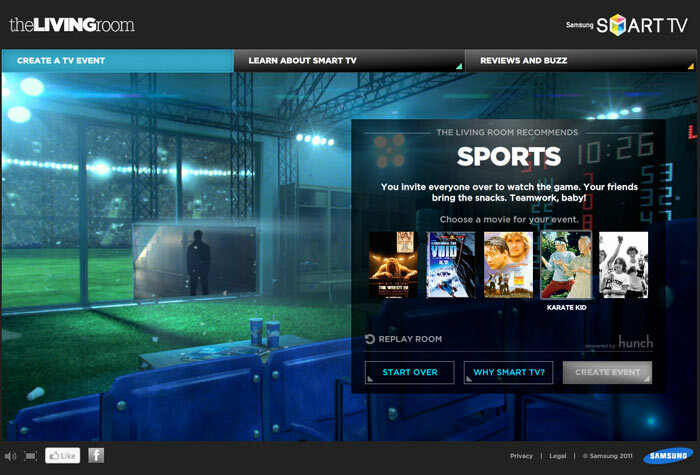 So we designed our site to be smart. 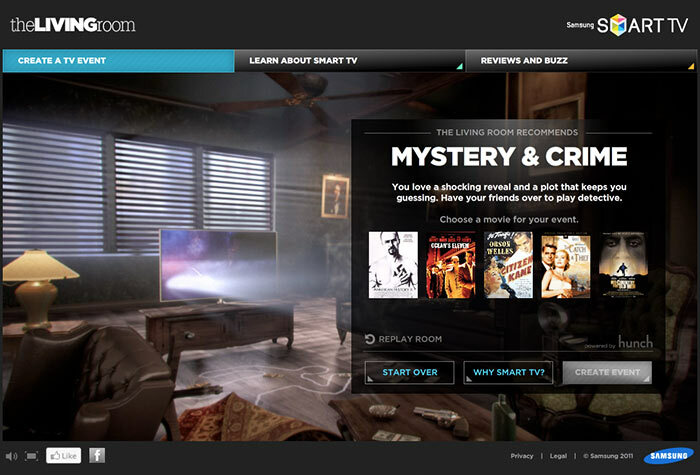 Using only a series of 10 random questions, our site smartly predicted the best movie for you. 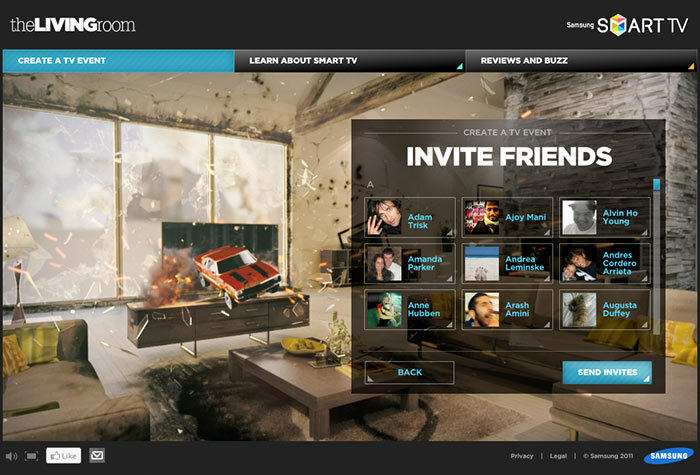 Powered by Hunch, our movie recommendations would be served up along side the ability to invite friends to a watching party through Facebook. 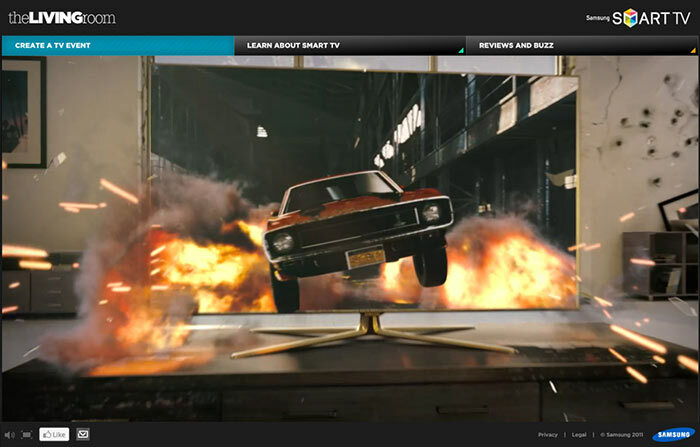 Time to get the popcorn.